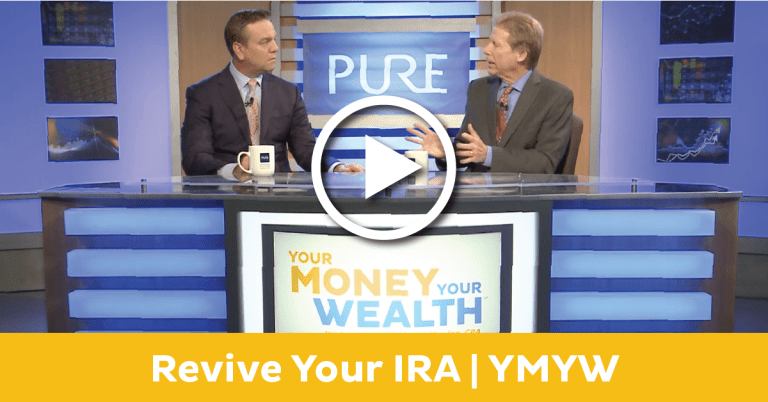 Revive Your IRA | Pure Financial Advisors, Inc.
Do you have enough money in your IRA to retire without worrying about how you will pay the bills once you get your gold watch? 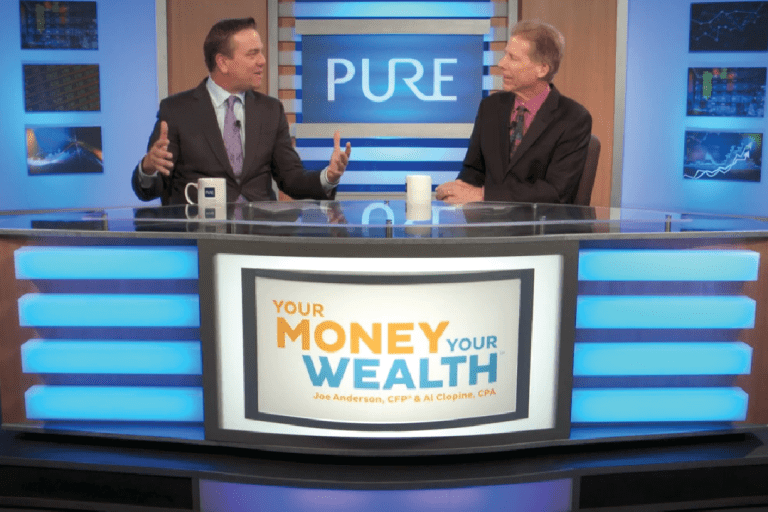 Financial experts Joe Anderson and Alan Clopine want to make sure you are taking the steps now that will lead to a comfortable retirement. 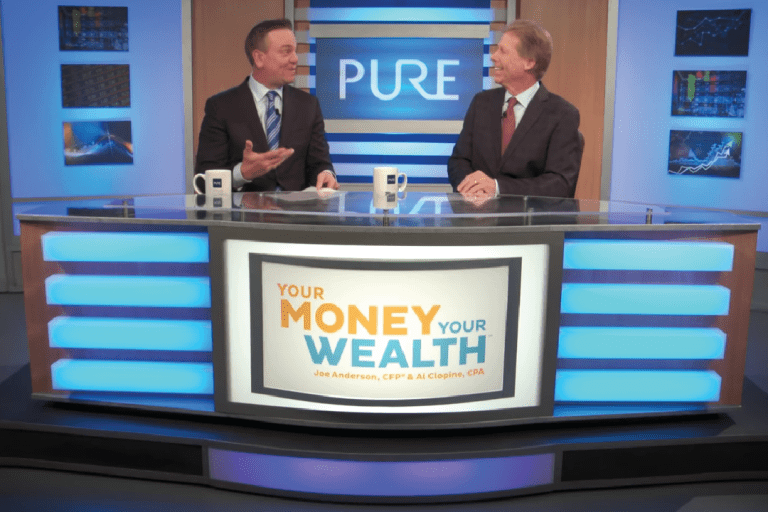 On Your Money, Your Wealth they take a look at ways to revive your IRA to make sure you are able to optimize the money you save. (00:57) – How Much American Workers Have Saved for Retirement – The Numbers Might Surprise You! 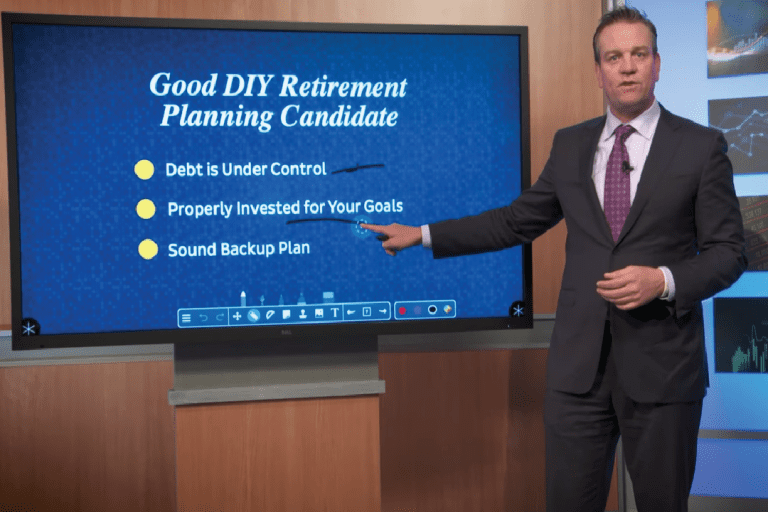 (4:00) – Can I Contribute to an IRA AND a Roth AND a 401(k)? (4:50) – How Much Can You Contribute? (6:30) – What Investments are Available for an IRA? (7:53) – Is there a 10-year waiting period before the income and gains in your Roth IRA are tax-free? True or False? (15:35) – Do seniors who continue working after age 70 1/2 have to take required minimum distributions (RMDs) for their employer-sponsored retirement accounts? (17:25) – IRA Mistake: Not taking advantage of the spousal IRA for a non-working spouse. (18:10) – IRA Mistake: Not taking a Required Minimum Distribution (RMD) at age 70 1/2, or not taking enough. (19:12) – IRA Mistake: Paying unnecessary penalties on early distributions. (20:17) – IRA Mistake: Rolling a low-cost basis company stock from your 401(k) into an IRA. (21:19) – IRA Mistake: Not educating your children about Stretch IRA rules. (22:40) – VIEWER QUESTION: I’m single and I make $150,000 a year. Is there a way to get around the income limits for contributing to my retirement accounts? 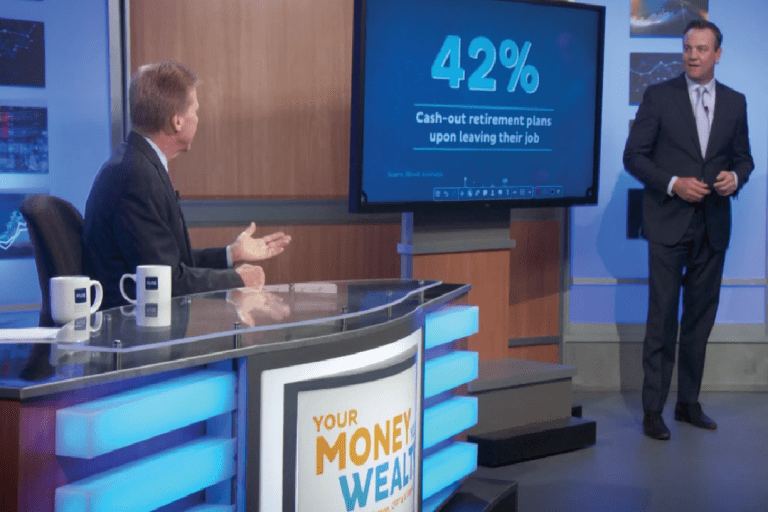 (24:00) – VIEWER QUESTION: Can I fund Roth IRA’s for my grandchildren that are all now working part-time while they go to college?